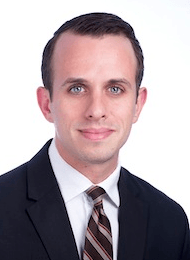 Steven Fingerhut is an employment litigation associate at Phillips & Associates. He is committed to providing vigorous representation to individuals who have suffered from employment discrimination in New York City and need an attorney to protect their rights. He is a zealous advocate of those who have suffered sexual harassment or discrimination based on race, religion, sexual orientation, disability and other protected traits. Steven Fingerhut, with co-counsel, obtained a judgment in the amount of $77,054.64, including attorney fees and costs, for their client who was discriminated against by her supervisor and wrongfully terminated from her employment due to her pregnancy and gender. They successfully presented sufficient evidence and testimony for the jury to return a unanimous verdict in Plaintiff's favor, achieving justice for their client. Weng v. Fancy Lee Sushi Bar & Grill, Inc., 2017 U.S. Dist. LEXIS 183657 (E.D.N.Y., Nov. 18, 2017). Mr. Fingerhut is an active member of the National Employment Lawyers Association ("NELA") as well as the New York State Trial Lawyers Association ("NYSTLA"). In 2018 he was selected by SuperLawyers as a "Rising Star" in New York. SuperLawyers recognizes no more than 2.5% of attorneys as Rising Stars in each state. Mr. Fingerhut has also been recognized by various other legal organizations such as the American Institute of Legal Counsel and the Lead Counsel Review Board. Mr. Fingerhut represents people who suffer harassment which constitutes a hostile work environment in the workplace. Harassment under Title VII of the Civil Rights Act of 1964 is unwelcome conduct that is based on one or more of the enumerated protected characteristics. To be actionable, harassment must be severe or pervasive enough to create a work environment that a reasonable person would find hostile or in which enduring harassment becomes a condition of employment. Title VII applies to businesses with 15 or more workers. No employer may take an employment action against an employee or prospective employee based on a protected characteristic. In other words, decisions about hiring, termination, promotion, compensation, or other terms of employment may not be based on race, color, national origin, or other protected traits. Harassment could include epithets, slurs, physical assaults, intimidation, mockery, offensive pictures, or other interference with a worker's ability to perform their job. An employer is automatically liable if a supervisor takes an employment action that is adverse to an employee based on a protected characteristic. For example, if your boss places obscene or offensive sexual materials on your desk on a daily basis, or says he will demote you if you do not perform sexual favors, this is likely harassment. An employer also may be liable when a non-supervisory employee or a non-employee (such as a customer) harasses an employee if the employer knew or should have known about the harassment and did not take prompt, reasonable steps to correct the problem. For example, if a customer repeatedly makes sexual jokes about women of your race, and your boss' response to your complaint is to move you to a different department where the pay is less, this is not likely to be seen as a prompt reasonable step. Mr. Fingerhut also represents people who are unlawfully retaliated against after engaging in a protected activity. It is unlawful for an employer to retaliate against you for opposing any employment practice that discriminates based on a protected characteristic or for filing a discrimination charge. However, not all businesses understand the prohibition on retaliation. It is important to consult an experienced employment litigation attorney immediately after an employment event that you think violates your workplace rights. Mr. Fingerhut is admitted to the State Bar of New York and the United States District Courts for the Southern, Eastern, and Northern Districts of New York. While in law school, Mr. Fingerhut contributed to a New York State Bar Association quarterly publication and competed in the Domenick L. Gabrielli Appellate Advocacy Moot Court competition. He interned in the Albany County District Attorney's Office and at both the U.S. District Court for the Northern District of New York and Albany City Court. He served as a summer associate and part-time third-year associate at General Electric. In May 2013, he graduated from Albany Law School. Mr. Fingerhut graduated from The College of New Jersey with a Bachelor of Arts degree in mathematics and a minor in art history in 2010.